Foxconn, Apple’s long-time manufacturing partner, posted some impressive numbers for Q4 2016, validating the fact that iPhone 7 and iPhone 7 Plus were far more popular than the previous iPhone 6s lineup. According to Reuters, Foxconn’s net profits are up 30 percent over the year-ago period. One of the things that immediately come to mind is that iPhone 7 sales may well have saved Apple from another embarrassing fiscal year. 2016 was not the best of years for the iPhone maker because it saw a decline in iPhone sales growth for the first time in its history. Just to recap, Apple sold 78.29 million iPhones during the quarter ended December 31, 2017, compared to 74.779 million units in the year-ago quarter. Apple doesn’t breakout the numbers by model, but it’s safe to assume that the bulk of sales for Q1 2016 were iPhone 6s and iPhone 6s Plus, and for Q1 2017 it was iPhone 7 and iPhone 7 Plus. That shows strong sales for the iPhone 7 lineup in comparison to the iPhone 6s duo of smartphones. That increase pushed Foxconn’s net profit up by 30 percent in their last reported quarter (Q4 2016). Foxconn makes at least half its income from its contracts with Apple, which is most likely the reason for the jump. What’s interesting is that analysts continue to see growth for Foxconn, presumably because of strong demand for iPhone 7 Plus continuing through 2017. Invariably, when iPhone 7s and iPhone 7s Plus come out, the older model will drop its price point, pushing even more sales growth in emerging markets for iPhone 7 Plus and maybe even iPhone 7. Besides this, the 128GB variant of iPhone SE also needs to be taken into account, as does the simultaneously launched iPhone 7 (PRODUCT)RED. With two models already out, we have another three still to go, and that’s great news for Foxconn as much as it is for Apple. Foxconn, meanwhile, could be eyeing Toshiba’s semiconductor business after its major stake purchase of Sharp Display. The Japanese company’s display manufacturing unit raised its full-year guidance for profit about a month ago, when it posted its first net profit in over eight quarters. Sharp is expected to produce OLED displays for future iPhones starting in 2019, possibly alongside BOE Technology Group. 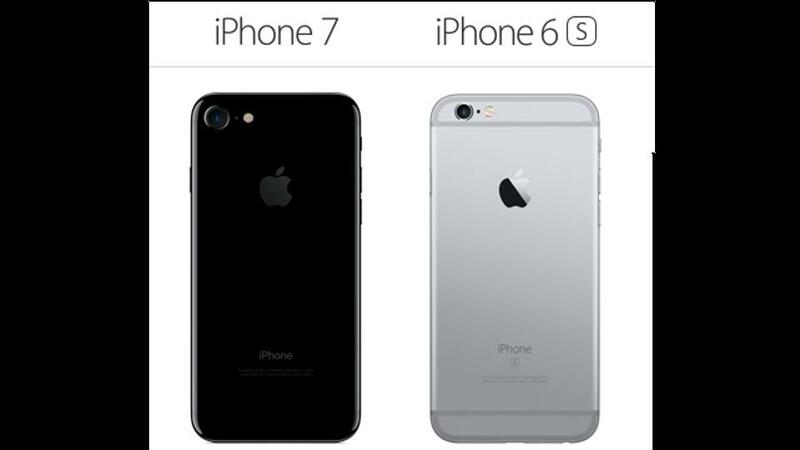 With at least 5 iPhone models launching through 2017, smartphone sales should hit record levels for Apple. That’s great news for Tim Cook’s performance over the full fiscal 2017, and it could spill over into Q1 2018 as well, considering that Apple’s fourth quarter is actually the holiday quarter from October to December, which is when iPhone Edition (iPhone 8) will see its strongest sales. That might be good news for Apple investors over the next 5 to 7 quarters, but there’s a risk that the bar will be set too high for Q1 2019. It might be the beginning of a more stable growth period for the iconic iPhone. Not a bad performance record over a 10 to 12-year period since the first iPhone saw the light of day, but it seems the time has come for Apple to focus more heavily on services like Apple Pay and Apple Music, and leverage the strong growth these units are showing now. Apple has already lost first place to Google this year as America’s most valuable brand, primarily because of the incremental iterations of iPhone rather than anything truly innovative coming out of its R&D unit. Not that Apple is sitting pretty on its iPhone laurels, mind you. They’ve got their AR division heavily equipped, Apple Pay expanded quite a bit over the past several months and is now the number one mobile wallet in the world, and even Apple Music is showing impressive growth numbers. But the truth is, Apple is still an iPhone-heavy company – something they need to wean themselves off of, within the next two years if possible. Thanks for reading our work! Please bookmark 1redDrop.com to keep tabs on the hottest, most happening tech and business news from around the world. On Apple News, please favorite the 1redDrop channel to get us in your news feed. Why Spotify will win its race with Apple Music?